Below are instructions to view your Tourbuzz calendar on your Mac. If you have multiple photographers and want to set up each of their calendars on your device, you will have to complete the process for each photographer's calendar. Click on the iCal link on the right side of the page (This will pop open the ical app on your mac. Give your calendar a name, decide the location of your calendar, and select how often you’d like your calendar to auto-refresh (We recommend Every 5 Minutes). Once done, hit save. 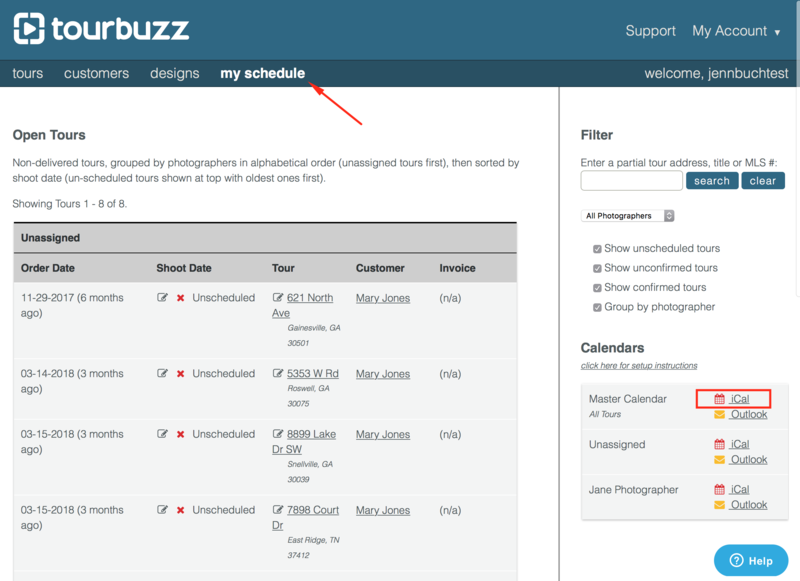 Your Tourbuzz calendar is now attached to your iCal.